REACH took the opportunity to offer folks the REI tradition of enjoying the day outdoors after the happy hours of Thanksgiving Day dinner. 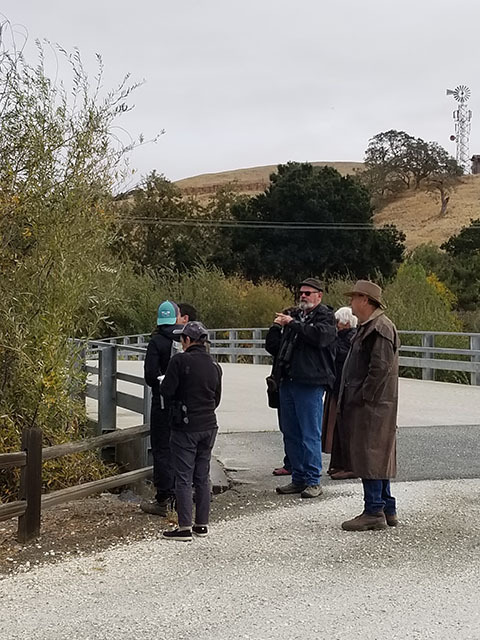 Mark Paxton, Birder Extraordinaire, guided a few hardy souls around the San Benito County Historical Park outside of Tres Pinos on Black Friday, 11/23. The weather held throughout the three hour excursion that required many pauses to look and listen while the morning gave way to a really tranquil, peace-invoking time in the park. We all learned much about birds, spotting, migration, habitat, song and color. It was perfect. 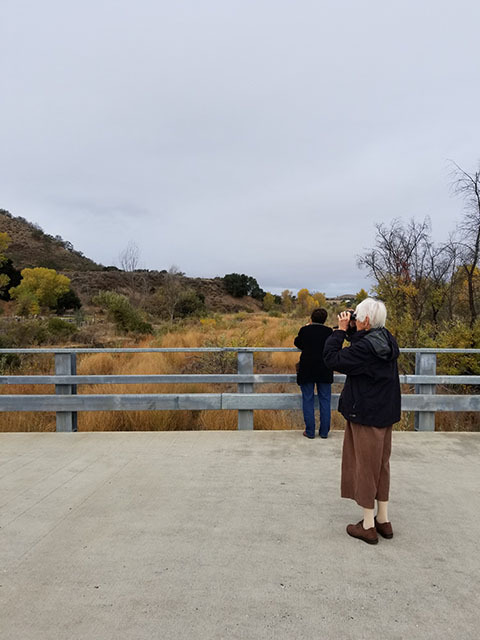 Mark will be collaborating with REACH for not just this, but at least one more Little Walk with Birds/ Un Pequeno Paseo con Pájaros in 2019. 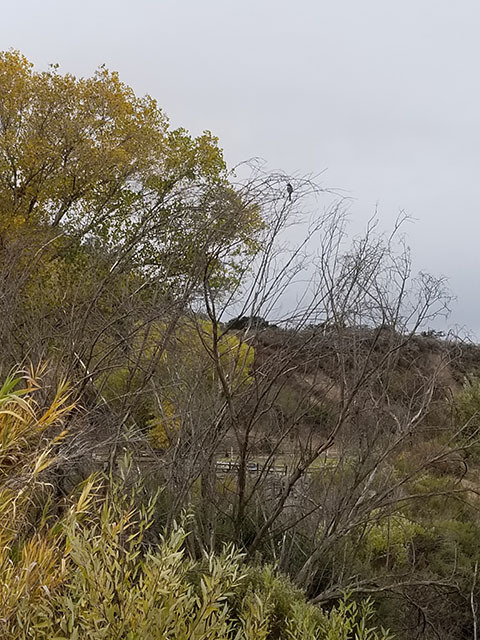 In fact REACH has been planning for 2019, and it looks like the Second Moonlight Walk on the Anza Trail will be in the third week of March, when the sunset and moonrise are close together. If you would like to help out, email info@reachsanbenito.org. Consider adding your name to the list of Volunteers willing to be called on for events or work in the parks. There are also two seats on the Board we’d like to fill! It is a very good feeling to contribute to your community. All of us on the R.E.A.C.H. Board wish you a Happy Holliday and Blessed New Year!